Serves me right for labeling the city as ordinary. The sweet misty scent of the morning welcomed us along with two rainbows painted across the clear sky. It was such a nice welcome that I found it especially hard to refuse buying taho from the first vendor I saw right after stepping out of the terminal. From the terminal, we walked towards the general direction of Session Road with the goal of finding the cheapest place to charge batteries. 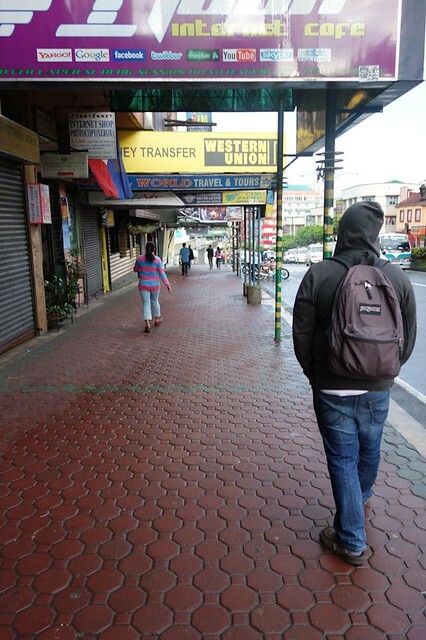 It was such a nice experience walking along Session Road without having to rush and without having to avoid bumping into people. I never thought Session Road could be this lovely. 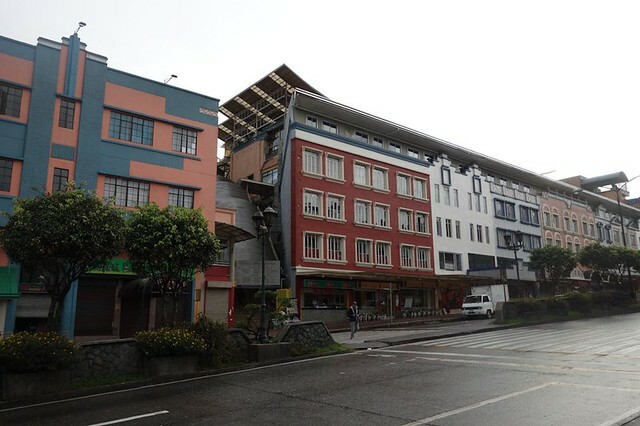 It reminded me of a photo of Dutch houses lined up on the side of a street. The only people on the street were the ones in their sweatpants, out to jog in the still empty parks. We took time walking along Session Road, looking up every now and then to see signs of cheap hostels. 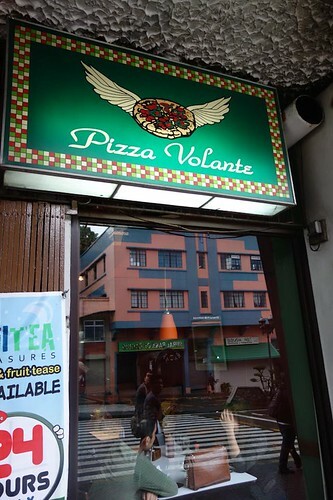 We passed by Pizza Volante, open 24 hours. Inside a couple of tables were taken by groups of weary travelers who by the look of their faces seemed like they came from the bus terminal at the wee hours of the morning too. Pizza Volante was the only place with some sort of activity. (While passing by we quickly decided that we were going to eat there sometime during the day). As much as I wanted the city to stay this way, the world moved on and half an hour later, the city woke up and the streets were filled. 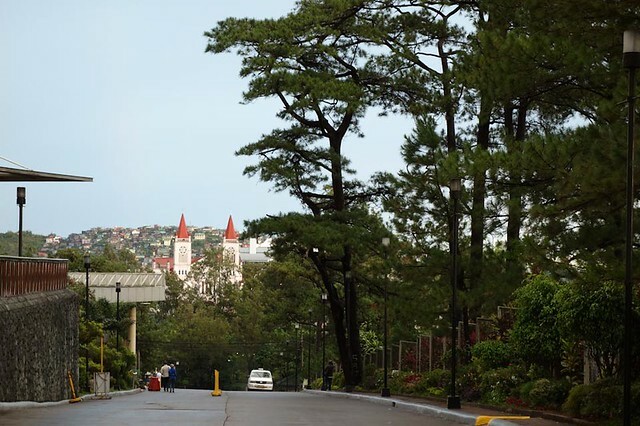 Slowly it became Baguio, The Bustling Stop-Over again. It may never be completely erased in my mind how I am always just transiting in this city but at least now I have a few minutes of its charm etched in my memory. A few minutes past 7AM, we had to ditch our task of finding a place to crash since our tummies were begging for a much needed breakfast. 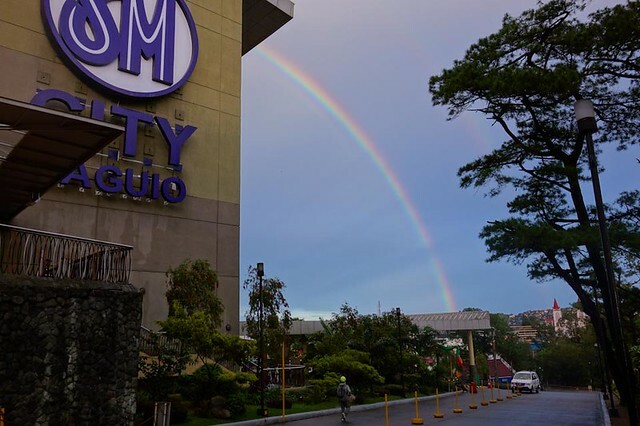 It's now time to put the hours spent in this city into good use, after all, stop-overs mean two things: food and rest room breaks (which Baguio, of course, has an awful lot).